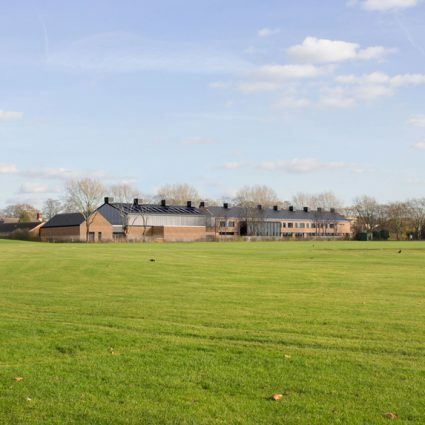 Barking Abbey School is ranked in the top 20% of all secondary schools in the UK for progress at Key Stage 4 and operates on three sites in Barking which are just under a mile apart. 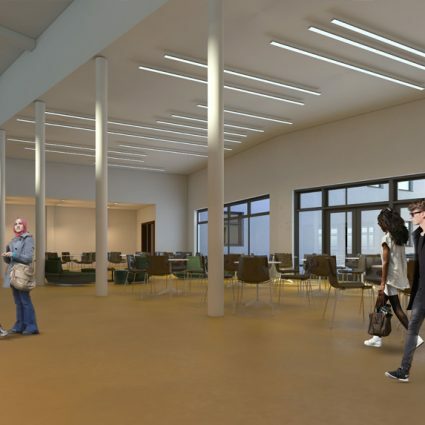 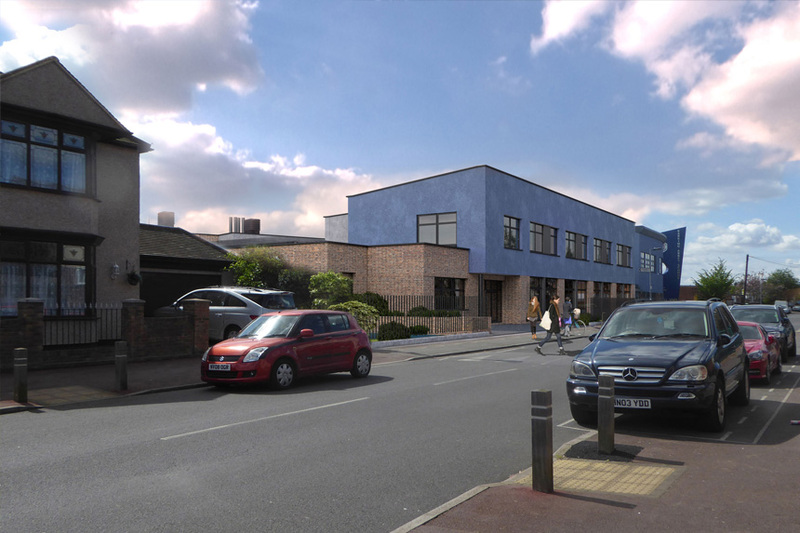 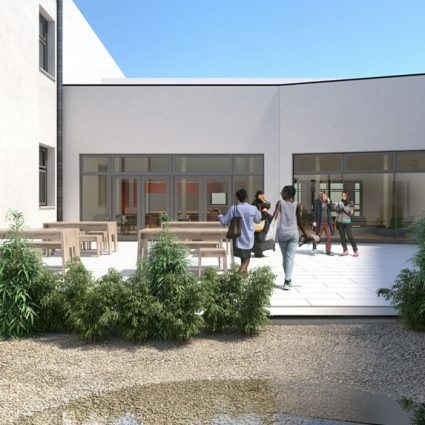 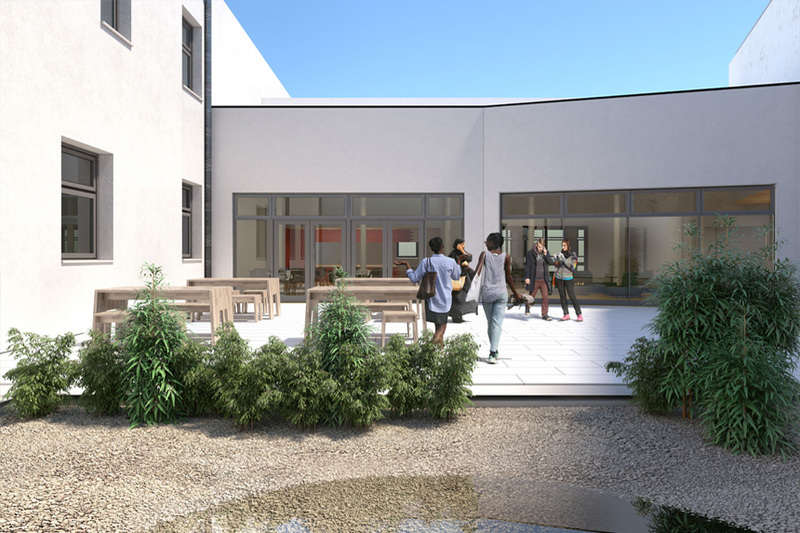 This project, which was won in a design competition with our contractor partner Neilcott Construction Ltd, was to expand it by three forms of entry (3FE) and provide additional dedicated accommodation for its successful sixth form. 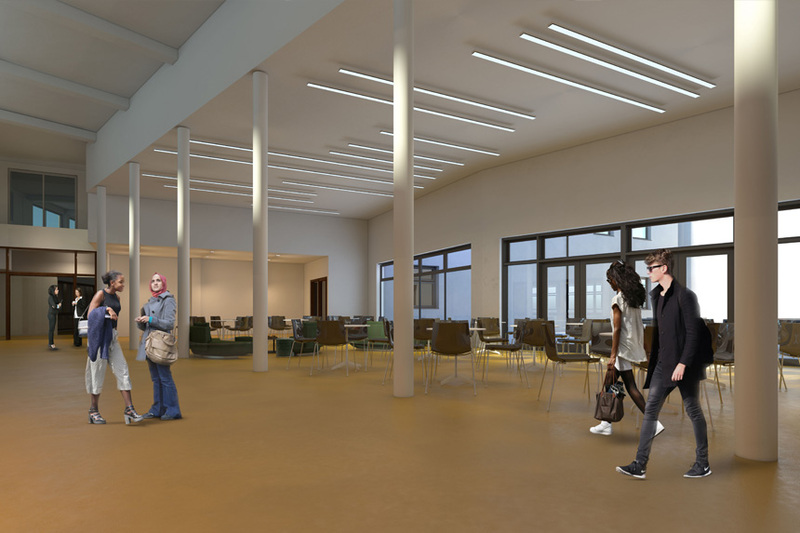 Three new buildings provide the following; 2,450m2 of specialist teaching accommodation and a new sixth form centre at its Sandringham campus, 3,200m2 of specialist teaching accommodation with a new kitchen and dining hall and 1,300m2 of new sporting facilities, both at its Longbridge campus. 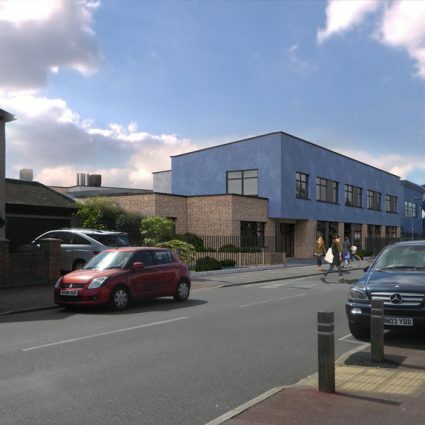 Project inception to completion was undertaken in only 20 months; a testament to effective teamwork across the client, consultant and contractor groups. 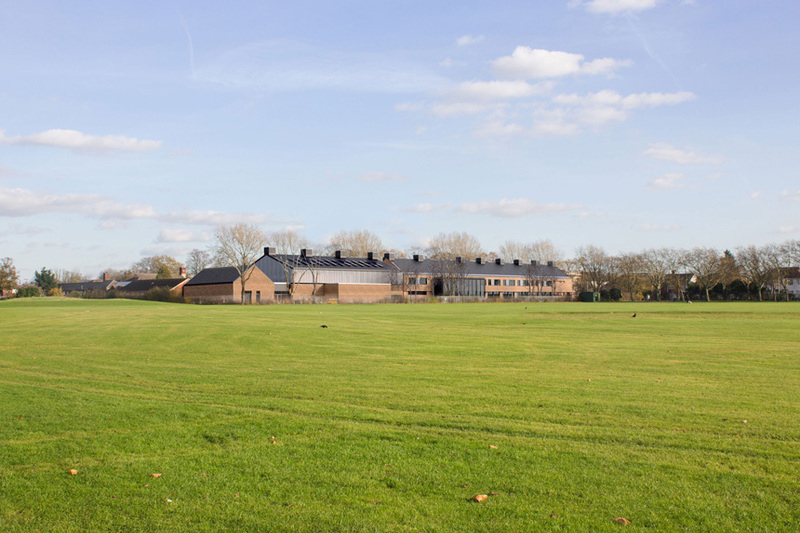 RSS was also retained by the local authority for remodelling works within the existing school buildings. 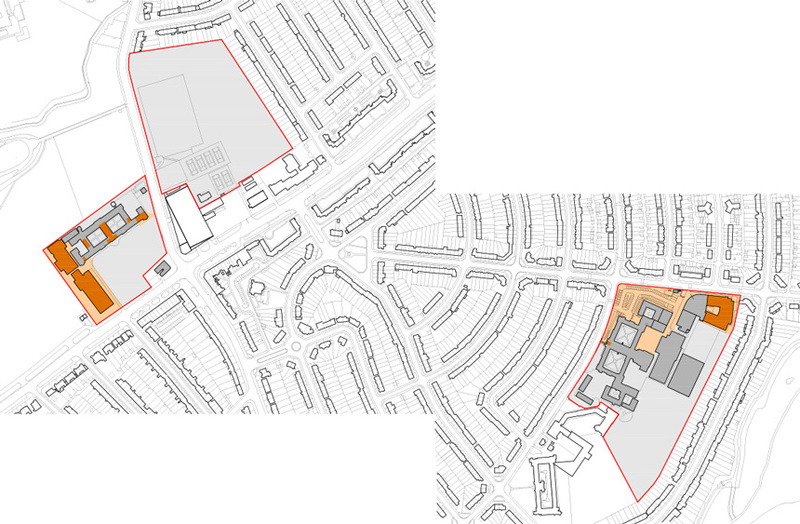 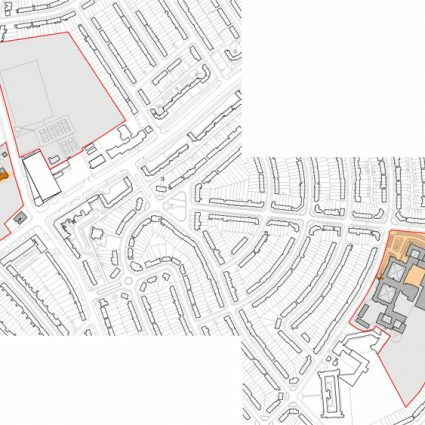 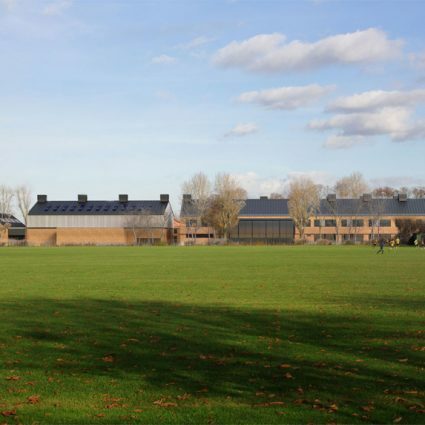 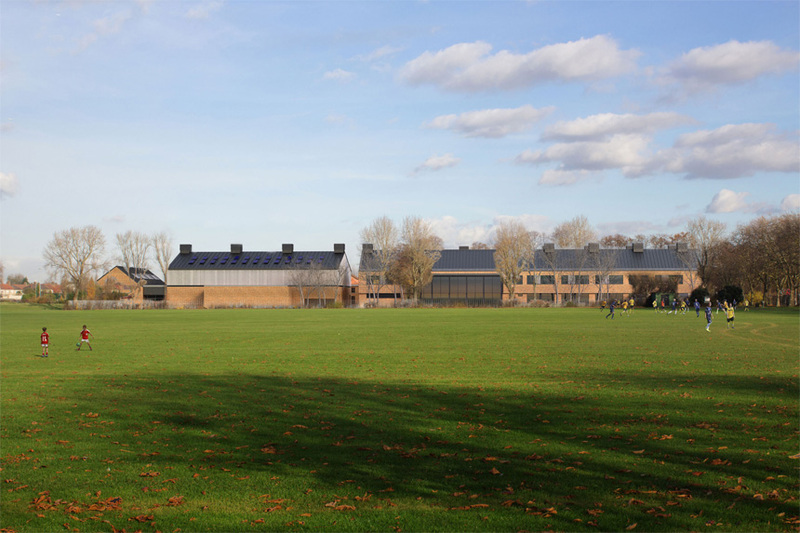 The design of the new buildings relate to the scale and organisation of the school sites; they terminate views along existing axes and create courtyards and new social spaces. 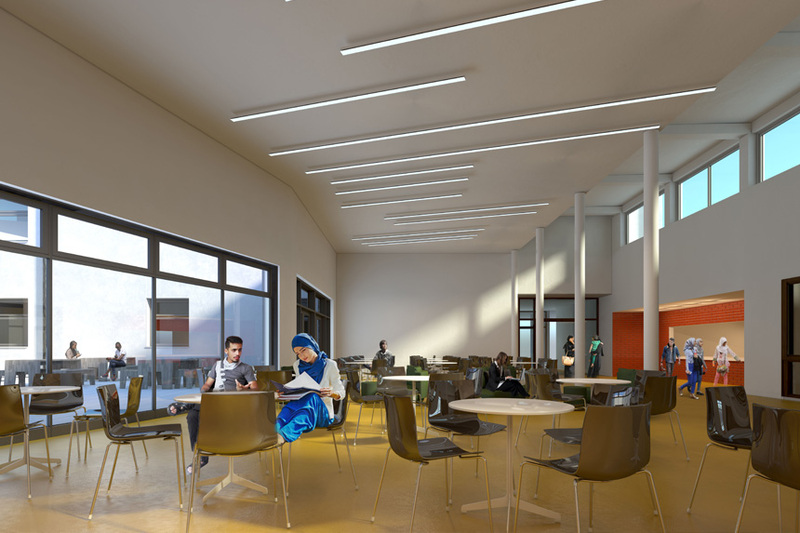 Generous circulation and breakout areas are integral to the layouts. 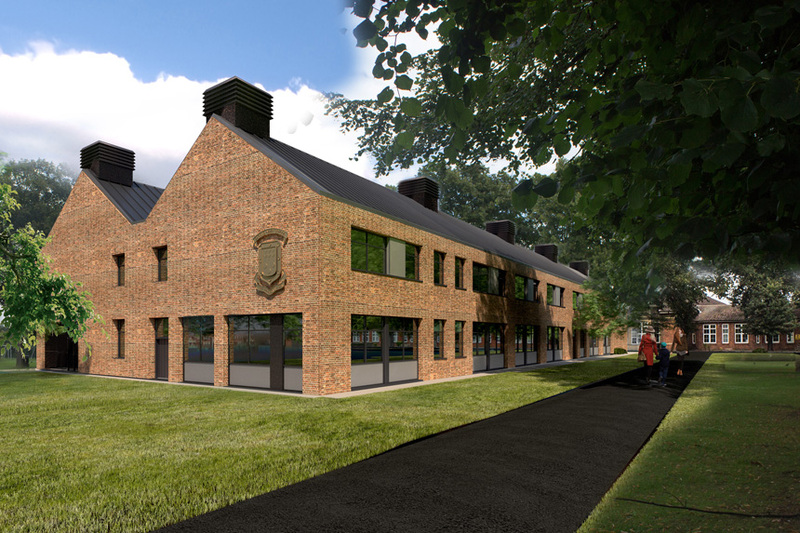 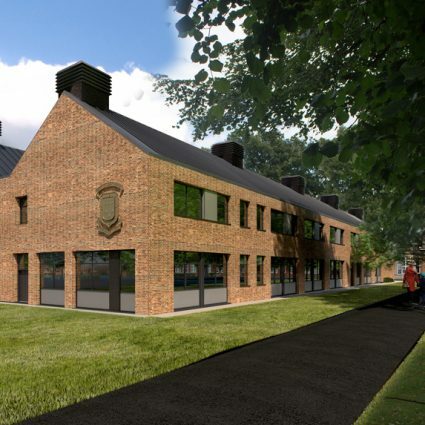 The project has also precipitated an organisational change from an lower school/ upper school system to a much more integrated house-based structure. 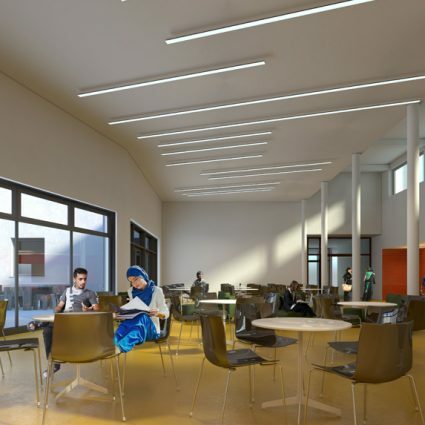 ‘Both myself and the school are really grateful for all your commitment, patience and excellent understanding of the school’s requirements which is reflected in the beautiful new buildings we have’.